Tuesday marked the release of the long-awaited self-titled album from grass clippings favorite The Lone Bellow (Amazon MP3 & Spotify). The Park Slope, Brooklyn-based band of southern transplants have received phenomenal exposure in the last few weeks, including an NPR First Listen, stories in Billboard, Paste, a feature in Tuesday’s New York Times, a stunning performance on Conan and much more. The band, which is fronted by my friend/neighbor/Ackworth, GA native/church music director Zach Williams, has gained steam over the last few years with regular and soulful performances at the Rockwood Music Hall on the Lower East Side and some big breaks, such as the opening spot at WFUV’s Holiday show. The album, brilliantly produced by pianist Charlie Peacock (The Civil Wars), captures the feel of band’s performances. Its first single, “You Never Need Nobody,” positions the band in its unique place in Americana today – far from the gritty wing of New England Americana rock bands like Deer Tick, and instead, meshing the honest, organic and hopeful songs of old time bluegrass with the soul of African American gospel and hook of modern pop. You can catch the band on a tour across the country in the coming weeks, including appearances with Brandi Carlisle, Ivan & Aloysha, Marcus Foster and on the Heavy & Light tour – a series of shows produced by To Write Love on Her Arms, a non-profit dedicate to giving hope to people struggling with addiction, depression, self injury, and thoughts of suicide. Also, the band will try to sell a few CDs at Barnes & Nobel in New York’s Union Square on Monday night. 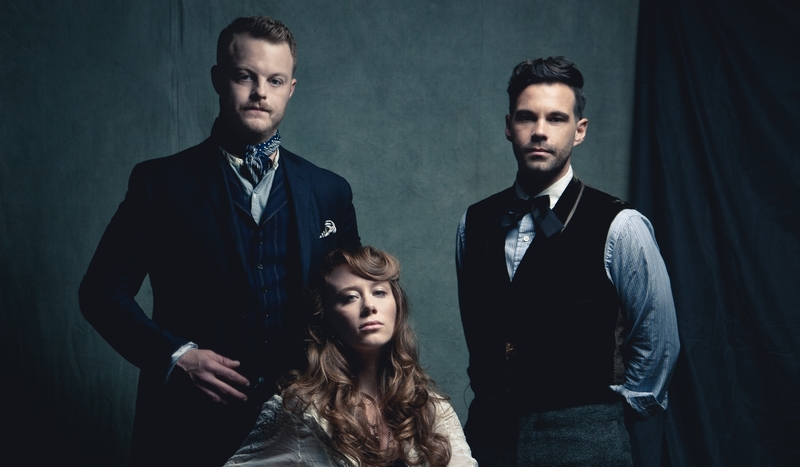 UPDATE: The Newport Folk Festival announced today on Facebook that The Lone Bellow will perform at this year’s festival, the first lineup announcement this year. Also, my friend Chris Pereira just recorded a great cut of the band covering “Angel From Montgomery” from a rooftop in the Slope. Check that out here.